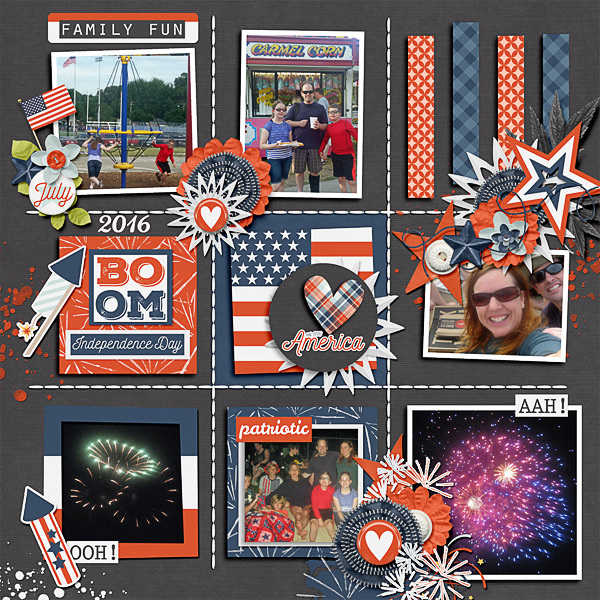 Hope everyone enjoyed their Fourth of July Celebrations! To start off July with a bang, GingerScraps has some exciting news. 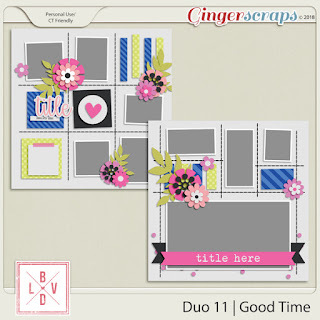 The guest designer for July is LBVD Designs….. Some of you might know her because she has been designing before. She has been gone for awhile, but now she is back to designing. 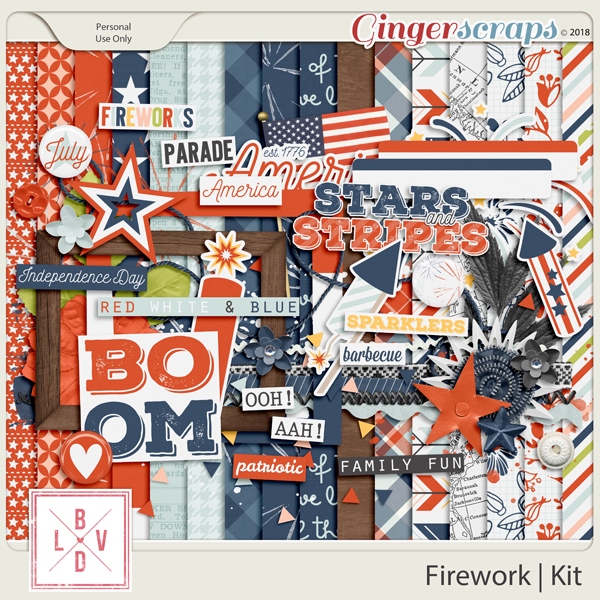 Here are a few items which I will show off for you today…A kit and one of her templates…. 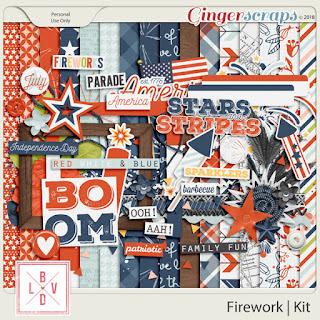 Celebrate America's independence with this fun digital scrapbooking kit from La Belle Vie Designs! 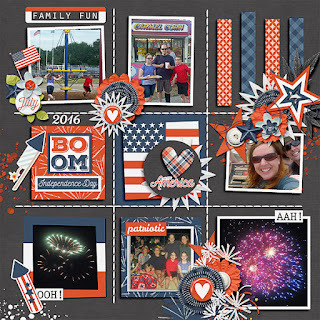 Full of fun stickers, word art and more, this patriotic kit is sure to help you scrap all your red, white & blue memories. 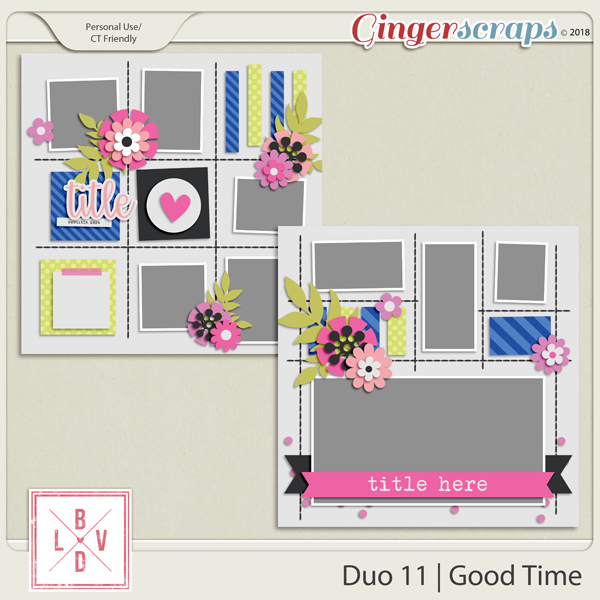 The template is Duo 11 and it is perfect to show off any good time…..